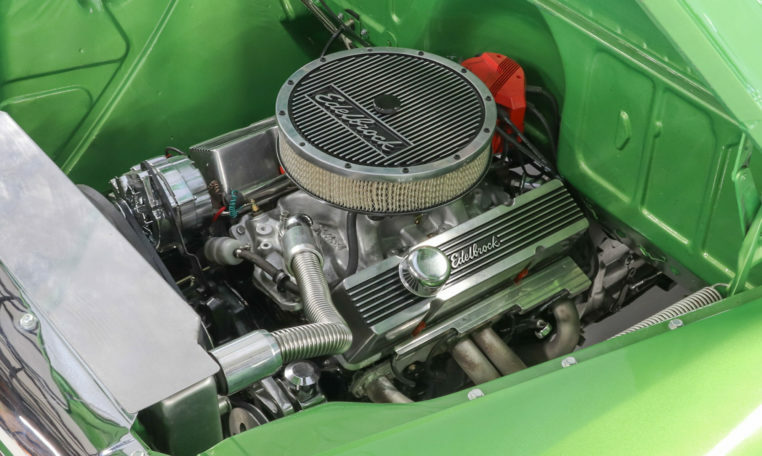 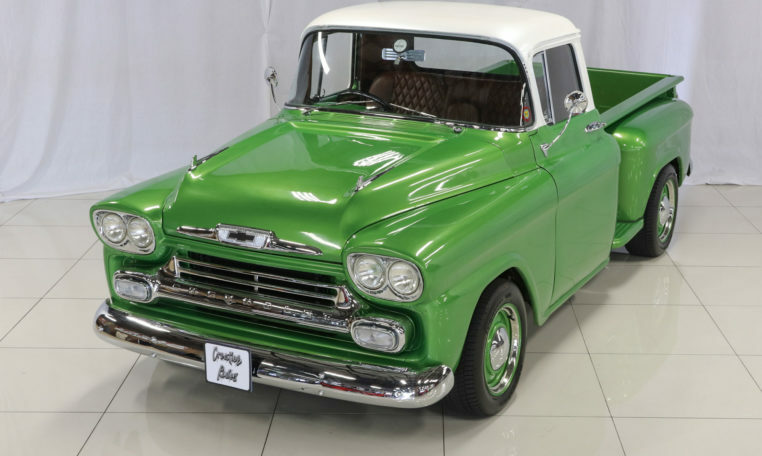 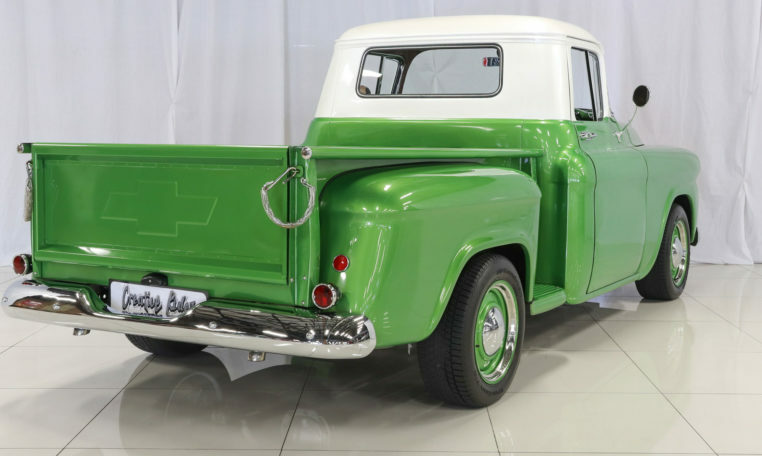 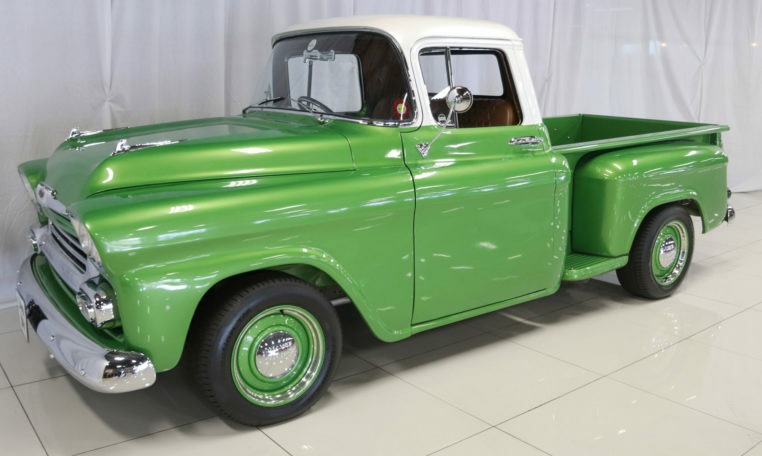 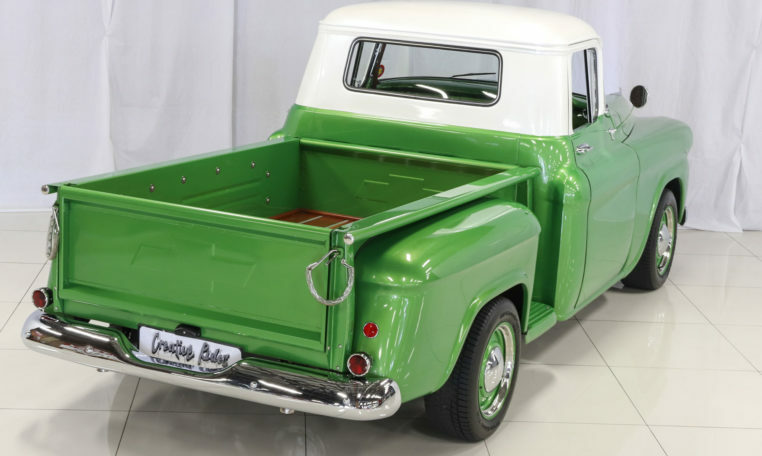 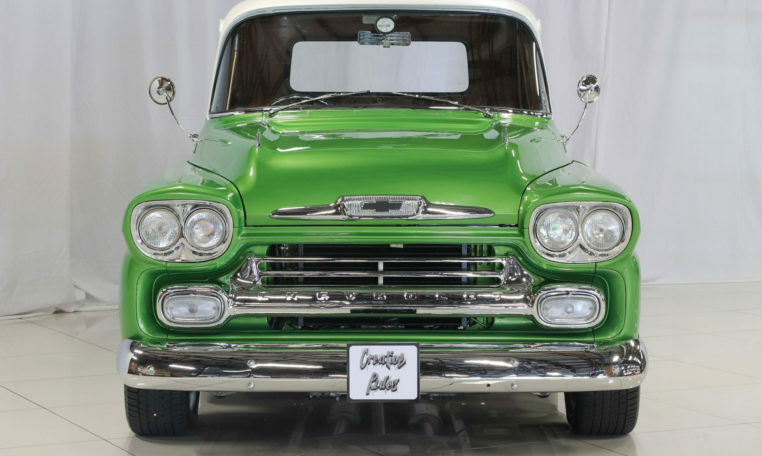 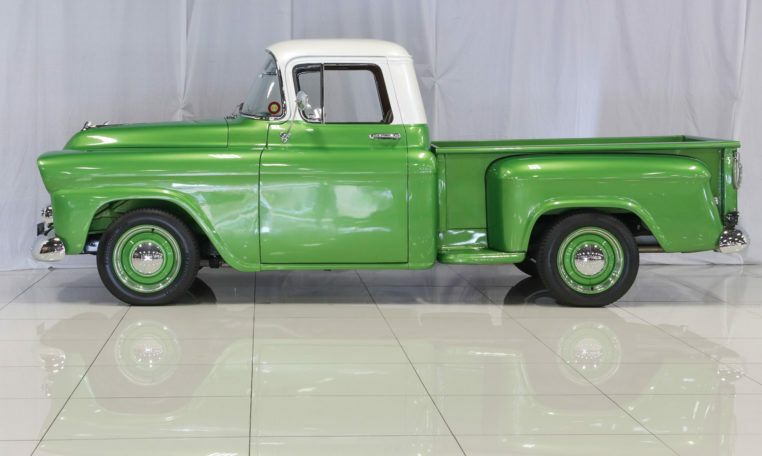 This 1958 Chevrolet Apache pickup truck is finished in apple green with white and brown leather upholstery. 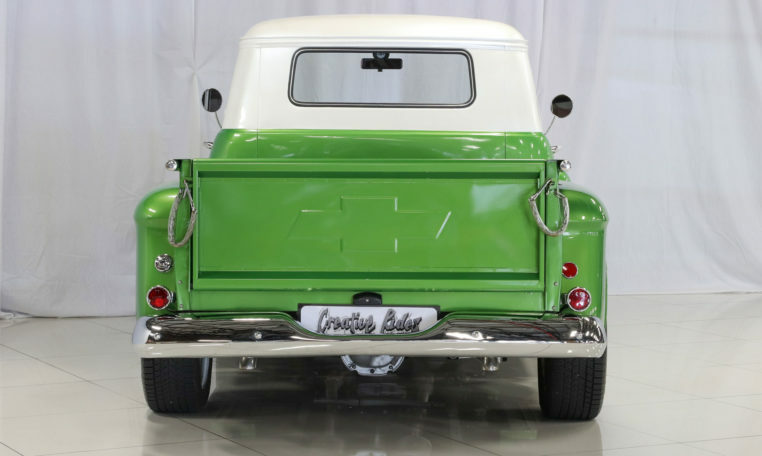 This truck has been customised with a 350 ci V8 Chevy engine and a 3-speed column shift automatic gearbox. 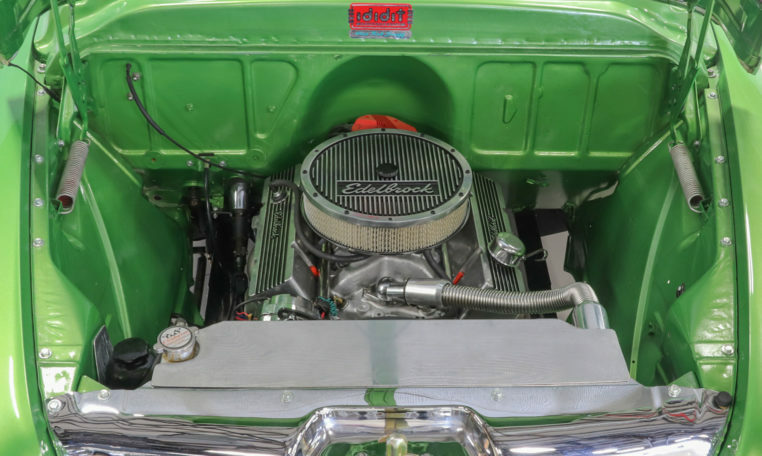 The front end suspension has been replaced by a Jaguar front end with disc brakes for modern stopping power. 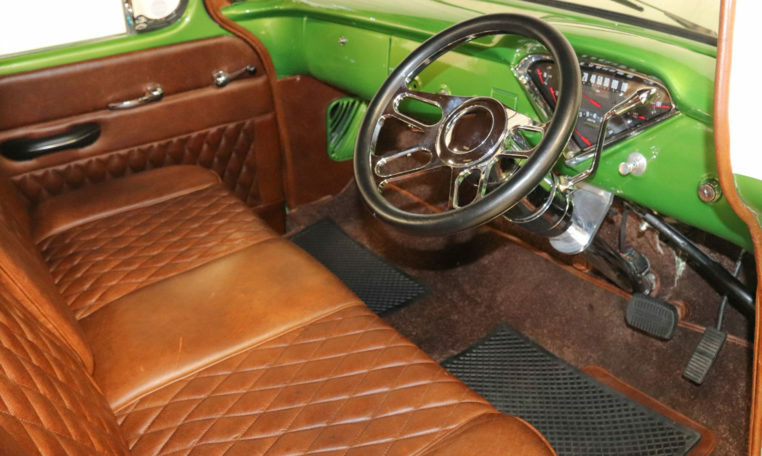 The bench seat set-up has been redone with baseball glove leather, instruments are now a modern electronic unit. 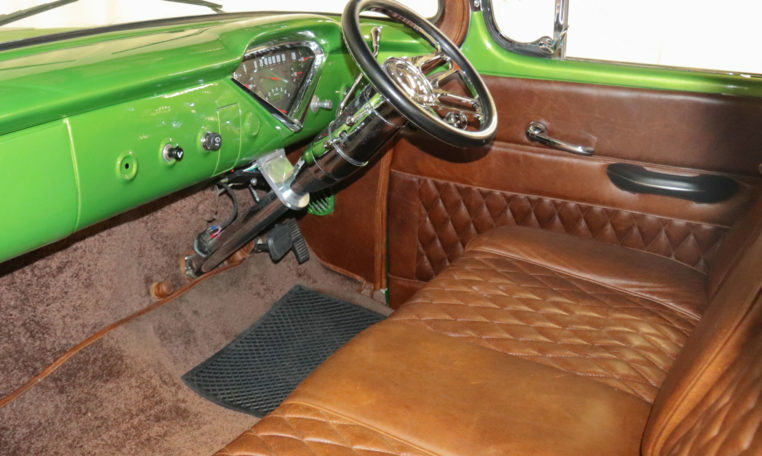 The Steering column has been replaced with an IDIDIT unit with Billet speciality steering wheel and peddles. 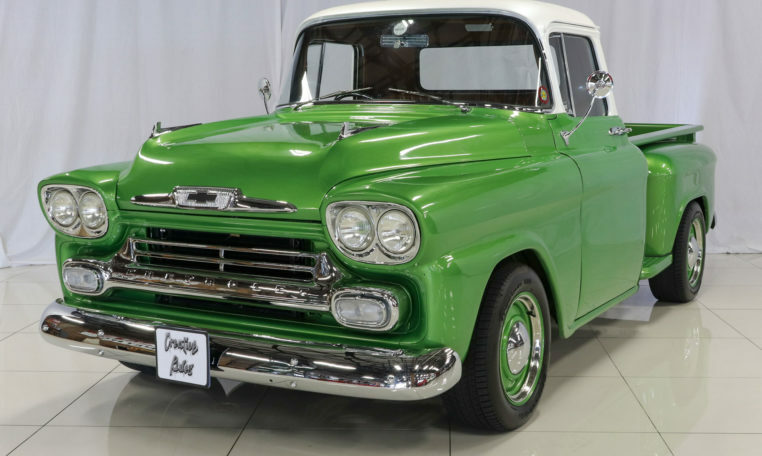 The 1958 truck has four headlights instead of two and features a shorter, wider grille the width of the front end. 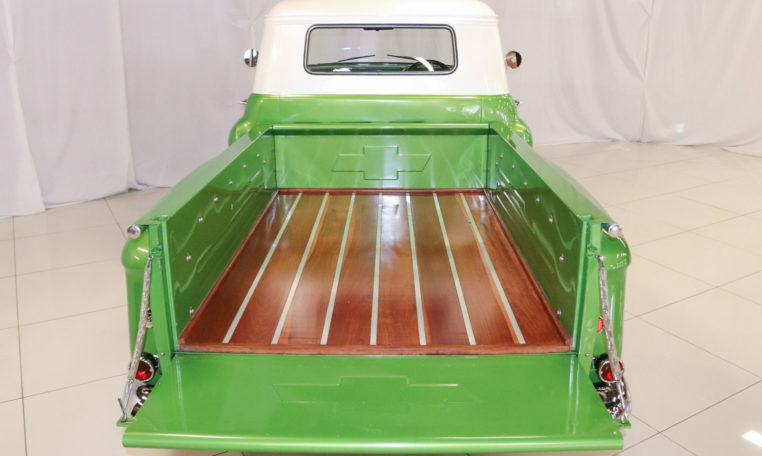 All light-duty trucks are now called “Apache”, medium-duty called “Viking”, and heavy-duty called “Spartan”. 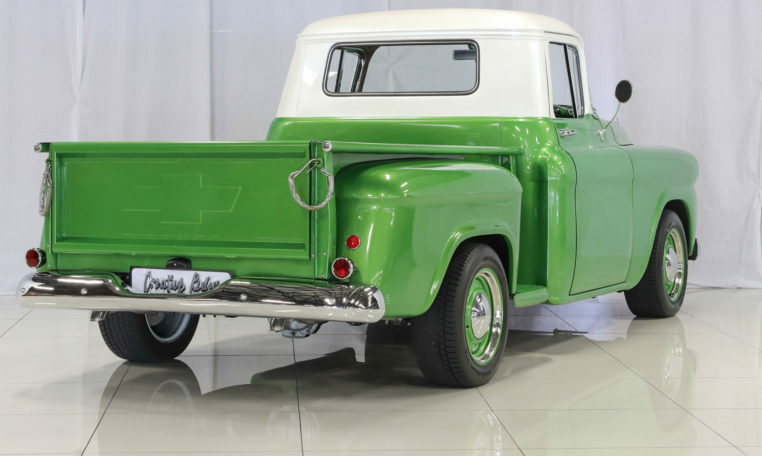 The ’58 trucks also received attention to appearance, while staying essentially durable, with minimal adornment.